The York Biomedical Research Institute is a new cross-departmental initiative set up to expand and consolidate York’s international expertise in biomedical research within the University. Our research, under the Immunology, Haematology and Infection theme, ranges from fundamental studies on the pathogenesis of infectious and non-infectious disease through to first-in-man clinical research. The Centre for Health Economics is a leading international Centre of Excellence in health economics; home to 50 economists and regularly undertakes analyses for and advises organizations such as NICE, the Bill and Melinda Gates Foundation and the WHO. 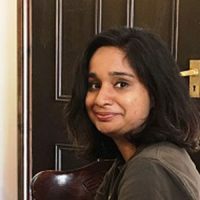 Nidhi Dey is post-doctoral researcher in the Kaye, Walrad and Lagos laboratory at the York Biomedical Research Institute. She did her undergraduate degree in biotechnology in 2005 followed by Masters in Biotechnology in 2007 funded by the Department of Biotechnology, India. After working as a research assistant at IIT, Delhi she began a PhD in developmental biology at Indian Institute of Science Education and Research (IISER), Mohali in 2009 looking at hematopoeitic stem cells and its niche in Drosophila. She is currently working on Tegumentary Leishmaniasis using in-situ hybridisations to locate parasites and to identify molecular signatures of host response to the disease. 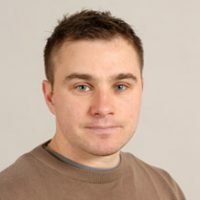 Dimitris Lagos is a Senior Lecturer in Immunology at the University of York, leading the RNA Immunobiology Group. Following his degree in Chemical Engineering, Dimitris’ PhD work on monoclonal antibody engineering resulted in one of the first examples of a fully synthetic, in vitro evolved scFV (Nature Biotechnology 2003). After his PhD, Dimitris moved to UCL to study host-pathogen interactions. His work on gene regulatory networks during infectious and inflammatory diseases has resulted in publications in leading peer reviewed journals (Nature Genetics, Nature Cell Biology, PNAS, Genes & Development, Cell Host & Microbe). In 2011, he established his group in York and in 2014 received a Medical Research Council New Investigator Research Grant. In the last decade Dimitris’ work has focused on the role of non-coding RNAs (microRNAs and lncRNAs) in immunity. He collaborates extensively with clinician and basic scientists and his work extends from single molecule to whole organism, integrating a range of biochemical, immunological, computational, and molecular cell biology experimental medicine approaches. Dr Layton is a Consultant Dermatologist at Harrogate and District NHS Foundation Trust, Co-clinical Director for the National Institute for Health Research Yorkshire and Humber Clinical Research Network and Associate Medical Director for Research and Development within her trust. 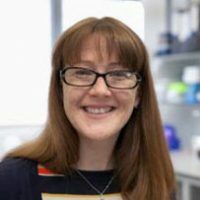 She holds an Honorary Senior Clinical Lecturer Post at Hull York Medical School and is a clinical affiliate for the Centre of Immunology and Infection at the School of Biology at York University. Over the years she has acted as Chief or Principle Investigator for many clinical trials (Phase I-IV). Studies have examined the efficacy of treatment in a number of common inflammatory dermatoses including acne as well as novel products and devices aligned to dermato-oncology and wound care. She has collaborated on basic science research projects with the Centre of Immunology and Infection (CII) at the School of Biology at York University and Departments of Microbiology at Leeds and Bradford University. Dr Layton’s primary research interest lies within the field of androgen related skin disorders particularly acne vulgaris. She currently leads a tertiary referral service for acne and has developed a comprehensive ethically approved acne database over the last 15 years. She is co-applicant on a National Institutes for Health grant examining core outcome measures for use in clinical trials of acne. Through this an international network has been developed ACORN (Acne Core Outcome Research Network) and this is informing the development of standardised outcome measures for use in clinical trials. She is collaborating with an SME who have secured a Horizon 2020 grant to support digital imaging for skin disease. 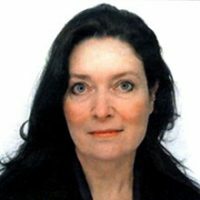 She represents the UK as a member of European and International Global Alliance Acne Panels and was recently nominated as a member of the European Dermatology Forum. She has published widely and acted as clinical lead for Evidence Based Guidelines and Cochrane Systematic Reviews. 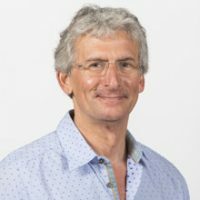 Paul is a Senior Research Fellow for the Team for Economic Evaluation and Health Technology Assessment (TEEHTA) at the Centre for Health Economics (CHE), University of York. He is the Theme Lead in Global Health Economic Evaluation at CHE. Paul’s research interests revolve around the development of methods and applied economic evaluation to inform resource allocation decisions within health care sectors of low- and middle-income countries, particularly in sub-Saharan Africa. The underlying aim of his work is to ensure that resources committed to health care are spent in ways likely to lead to greatest improvements in population health and wellbeing, recognising the complexities of real world healthcare systems. He has published over 25 articles, including in leading international health journals (e.g. Nature, Lancet Global Health, Journal of Infectious Diseases) and has regularly been invited to present at and participate in meetings convened by international organizations (e.g. World Bank, WHO, PEPFAR, Bill and Melinda Gates Foundation). Mark Sculpher is Professor of Health Economics at the Centre for Health Economics, University of York, UK where he is Director of the Programme on Economic Evaluation and Health Technology Assessment. He is also Co-Director of the Policy Research Unit in Economic Evaluation of Health and Care Interventions, a seven-year programme, run collaboratively with the University of Sheffield and funded by the UK Department of Health. Mark has worked in the field of economic evaluation and health technology assessment for 30 years. He has researched in a range of clinical areas including heart disease, cancer, diagnostics, and public health. 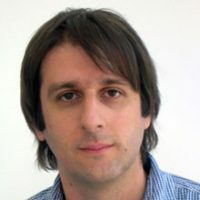 He has also contributed to methods in the field, in particular relating to decision analytic modelling and techniques to handle uncertainty, heterogeneity and generalisability. He has over 250 peer-reviewed publications and is a co-author of two major text books in the area: Methods for the Economic Evaluation of Health Care Programmes (OUP, 2015 with Drummond, Claxton, Torrance and Stoddart) and Decision Modelling for Health Economic Evaluation (OUP, 2006 with Briggs and Claxton). Mark is a member of the UK National Institute of Health Research (NIHR) College of Senior Investigators. He has also been a member of the National Institute for Health and Clinical Excellence (NICE) Technology Appraisal Committee and the NICE Public Health Interventions Advisory Committee. He currently sits on NICE’s Diagnostics Advisory Committee. He chaired NICE’s 2004 Task Group on methods guidance for economic evaluation and advised the Methods Working Party for the 2008 update of this guidance. He has also advised health systems internationally on HTA methods including those in France, Ireland, Japan, Singapore, Germany, Portugal, and New Zealand. 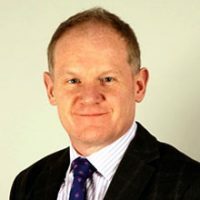 He has been a member of the Commissioning Board for the UK NHS Health Technology Assessment Programme, the UK NIHR /Medical Research Council’s Methodology Research Panel, and the UK Department of Health’s Policy Research Programme’s Commissioning Panel. He served as President of the International Society for Pharmacoeconomics and Outcomes Research (ISPOR) (2011-12). 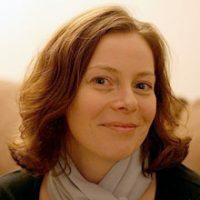 Pegine Walrad is a Research Lecturer at the University of York. She trained in zoology (BSc), developmental genetics (PhD) and veterinary medicine and has worked for over 10 years characterizing the molecular biology of kinetoplastid parasites. Pegine is a Medical Research Council New Investigator and is internationally recognised as a leader in parasite gene regulatory mechanisms. Pegine’s research examines molecular pathways of the Leishmania parasite lifecycle progression to human-infectious forms employing a range of multidisciplinary tools and approaches including biophysics, informatics, genetics, mathematics, and structural and molecular biochemistry. She has established vital research links with international collaborators in leishmaniasis-endemic countries with support from the Royal Society, MRC, CONFAP and Science without Borders and has led invited courses on parasite genetics both at home and abroad. A third generation vaccine for human visceral leishmaniasis and post kala azar dermal leishmaniasis: First-in-human trial of ChAd63-KH. Osman M, Mistry A, Keding A, Gabe R, Cook E, Forrester S, Wiggins R, Di Marco S, Colloca S, Siani L, Cortese R, Smith DF, Aebischer T, Kaye PM, Lacey CJ. PLoS Negl Trop Dis. 2017 May 12;11(5):e0005527. doi: 10.1371/journal.pntd.0005527. eCollection 2017 May. Conserved asymmetry underpins homodimerization of Dicer-associated double-stranded RNA-binding proteins	Heyam A, Coupland CE, Dégut C, Haley RA, Baxter NJ, Jakob L, Aguiar PM, Meister G, Williamson MP, Lagos D, Plevin MJ Double-stranded RNA-binding domains (dsRBDs) are commonly found in modular proteins that interact with RNA. Two varieties of dsRBD exist: canonical Type A dsRBDs interact with dsRNA, while non-canonical Type B dsRBDs lack RNA-binding residues and instead interact with other proteins. In higher eukaryotes, the microRNA biogenesis enzyme Dicer forms a 1:1 association with a dsRNA-binding protein (dsRBP). Human Dicer associates with HIV TAR RNA-binding protein (TRBP) or protein activator of PKR (PACT), while Drosophila Dicer-1 associates with Loquacious (Loqs). In each case, the interaction involves a region of the protein that contains a Type B dsRBD. All three dsRBPs are reported to homodimerize, with the Dicer-binding region implicated in self-association. We report that these dsRBD homodimers display structural asymmetry and that this unusual self-association mechanism is conserved from flies to humans. We show that the core dsRBD is sufficient for homodimerization and that mutation of a conserved leucine residue abolishes self-association. We attribute differences in the self-association properties of Loqs, TRBP and PACT to divergence of the composition of the homodimerization interface. Modifications that make TRBP more like PACT enhance self-association. These data are examined in the context of miRNA biogenesis and the protein/protein interaction properties of Type B dsRBDs. Country-Level Cost-Effectiveness Thresholds: Initial Estimates and the Need for Further Research. Woods B, Revill P, Sculpher M, Claxton K. Value Health. 2016 Dec;19(8):929-935. doi: 10.1016/j.jval.2016.02.017. Developmental differentiation in Leishmania lifecycle progression: post-transcriptional control conducts the orchestra. De Pablos LM, Ferreira TR, Walrad PB. Curr Opin Microbiol. 2016 Dec;34:82-89. doi: 10.1016/j.mib.2016.08.004. Epub 2016 Sep 9. Review. Identifying What to Measure in Acne Clinical Trials: First Steps towards Development of a Core Outcome Set. Layton AM, Eady EA, Thiboutot DM, Tan J; members of the Acne Core Outcomes Research Network (ACORN) Outcomes Identification Group. J Invest Dermatol. 2017 Apr 27. pii: S0022-202X(17)31438-0. doi: 10.1016/j.jid.2017.04.017. [Epub ahead of print] No abstract available. Immunomodulatory Therapy of Visceral Leishmaniasis in Human Immunodeficiency Virus-Coinfected Patients	Wim Adriaensen, Thomas P. C. Dorlo, Guido Vanham, Luc Kestens, Paul M. Kaye, and Johan van Griensven Patients with visceral leishmaniasis (VL)–human immunodeficiency virus (HIV) coinfection experience increased drug toxicity and treatment failure rates compared to VL patients, with more frequent VL relapse and death. In the era of VL elimination strategies, HIV coinfection is progressively becoming a key challenge, because HIV-coinfected patients respond poorly to conventional VL treatment and play an important role in parasite transmission. With limited chemotherapeutic options and a paucity of novel anti-parasitic drugs, new interventions that target host immunity may offer an effective alternative. In this review, we first summarize current views on how VL immunopathology is significantly affected by HIV coinfection. We then review current clinical and promising preclinical immunomodulatory interventions in the field of VL and discuss how these may operate in the context of a concurrent HIV infection. Caveats are formulated as these interventions may unpredictably impact the delicate balance between boosting of beneficial VL-specific responses and deleterious immune activation/hyperinflammation, activation of latent provirus or increased HIV-susceptibility of target cells. Evidence is lacking to prioritize a target molecule and a more detailed account of the immunological status induced by the coinfection as well as surrogate markers of cure and protection are still required. We do, however, argue that virologically suppressed VL patients with a recovered immune system, in whom effective antiretroviral therapy alone is not able to restore protective immunity, can be considered a relevant target group for an immunomodulatory intervention. Finally, we provide perspectives on the translation of novel theories on synergistic immune cell cross-talk into an effective treatment strategy for VL–HIV-coinfected patients. Immunomodulatory Therapy of Visceral Leishmaniasis in Human Immunodeficiency Virus-Coinfected Patients	Adriaensen W, Dorlo TPC, Vanham G, Kestens L, Kaye PM, van Griensven J Patients with visceral leishmaniasis (VL)-human immunodeficiency virus (HIV) coinfection experience increased drug toxicity and treatment failure rates compared to VL patients, with more frequent VL relapse and death. In the era of VL elimination strategies, HIV coinfection is progressively becoming a key challenge, because HIV-coinfected patients respond poorly to conventional VL treatment and play an important role in parasite transmission. With limited chemotherapeutic options and a paucity of novel anti-parasitic drugs, new interventions that target host immunity may offer an effective alternative. In this review, we first summarize current views on how VL immunopathology is significantly affected by HIV coinfection. We then review current clinical and promising preclinical immunomodulatory interventions in the field of VL and discuss how these may operate in the context of a concurrent HIV infection. Caveats are formulated as these interventions may unpredictably impact the delicate balance between boosting of beneficial VL-specific responses and deleterious immune activation/hyperinflammation, activation of latent provirus or increased HIV-susceptibility of target cells. Evidence is lacking to prioritize a target molecule and a more detailed account of the immunological status induced by the coinfection as well as surrogate markers of cure and protection are still required. We do, however, argue that virologically suppressed VL patients with a recovered immune system, in whom effective antiretroviral therapy alone is not able to restore protective immunity, can be considered a relevant target group for an immunomodulatory intervention. Finally, we provide perspectives on the translation of novel theories on synergistic immune cell cross-talk into an effective treatment strategy for VL-HIV-coinfected patients. Impact of decentralisation of antiretroviral therapy services on HIV testing and care at a population level in Agago District in rural Northern Uganda: results from the Lablite population surveys. Abongomera G, Kiwuwa-Muyingo S, Revill P, Chiwaula L, Mabugu T, Phillips AN, Katabira E, Chan AK, Gilks C, Musiime V, Hakim J, Kityo C, Colebunders R, Gibb DM, Seeley J, Ford D; Lablite Project Team. Int Health. 2017 Mar 1;9(2):91-99. doi: 10.1093/inthealth/ihx006. MicroRNA-155 induction via TNF-α and IFN-γ suppresses expression of programmed death ligand-1 (PD-L1) in human primary cells	Yee D, Shah KM, Coles MC, Sharp TV, Lagos D Programmed death ligand-1 (PD-L1) is a critical regulator of T cell function contributing to peripheral immune tolerance. Although it has been shown that posttranscriptional regulatory mechanisms control PD-L1 expression in cancer, it remains unknown whether such regulatory loops operate also in non-transformed cells. Here we studied PD-L1 expression in human dermal lymphatic endothelial cells (HDLECs), which play key roles in immunity and cancer. Treatment of HDLECs with the pro-inflammatory cytokines IFN-γ and TNF-α synergistically up-regulated PD-L1 expression. IFN-γ and TNF-α also affected expression of several microRNAs (miRNAs) that have the potential to suppress PD-L1 expression. The most highly up-regulated miRNA following IFN-γ and TNF-α treatment in HDLECs was miR-155, which has a central role in the immune system and cancer. Induction of miR-155 was driven by TNF-α, the effect of which was significantly enhanced by IFN-γ. The PD-L1 3'-UTR contains two functional miR-155-binding sites. Endogenous miR-155 controlled the kinetics and maximal levels of PD-L1 induction upon IFN-γ and TNF-α treatments. We obtained similar findings in dermal fibroblasts, demonstrating that the IFN-γ/TNF-α/miR-155/PD-L1 pathway is not restricted to HDLECs. These results reveal miR-155 as a critical component of an inflammation-induced regulatory loop controlling PD-L1 expression in primary cells. Skin parasite landscape determines host infectiousness in visceral leishmaniasis. Doehl JSP, Bright Z, Dey S, Davies H, Magson J, Brown N, Romano A, Dalton JE, Pinto AI, Pitchford JW, Kaye PM. Nat Commun. 2017 Jul 5;8(1):57. doi: 10.1038/s41467-017-00103-8. Tegumentary leishmaniasis and coinfections other than HIV	Martínez DY, Verdonck K, Kaye PM, Adaui V, Polman K, Llanos-Cuentas A, Dujardin JC, Boelaert M BACKGROUND: Tegumentary leishmaniasis (TL) is a disease of skin and/or mucosal tissues caused by Leishmania parasites. TL patients may concurrently carry other pathogens, which may influence the clinical outcome of TL. The International Decision Support Initiative Reference Case for Economic Evaluation: An Aid to Thought. Wilkinson T, Sculpher MJ, Claxton K, Revill P, Briggs A, Cairns JA, Teerawattananon Y, Asfaw E, Lopert R, Culyer AJ, Walker DG. Value Health. 2016 Dec;19(8):921-928. doi: 10.1016/j.jval.2016.04.015.